Salon, Salon: Fine Art Practices from 1972 to 1982 in Profile - A Beijing Perspective is the third exhibition of From the Issue of Art to the Issue of Position: The Legacy of Socialist Realism in Chinese contemporary art, a research initiated by artist Liu Ding and art critic Carol Yinghua Lu. This research examines the historical narratives and ideological construct of Chinese contemporary art through ongoing exhibitions and writings. In the reality and narration of history, the emotions and rationality of the individuals, groups and narrators are both part of the historical reality, and the determinants of the ideological foundation, value orientation and actual contents of historical narration. To revisit the historical reality, it is necessary for researchers to recognize the historical legitimacy of the emotion of the participants in specific contexts, and to pay attention to the ruptures, gaps and overlaps between historical narratives and historical realities. In this exhibition, we will organize a series of lectures and conversations around the theme of “Sensibility and Sense in History”. Please stay tuned. Artist Pang Jun will give a detailed account of the state and sentiments of the first generation of artists, in the 30 years from the founding of the People's Republic of China, across the Cultural Revolution, to the year of 1979, and their activities of historic significance, such as the establishment of painting societies and art movements. Pang Jun is an oil painter, a disciple of Xu Beihong. 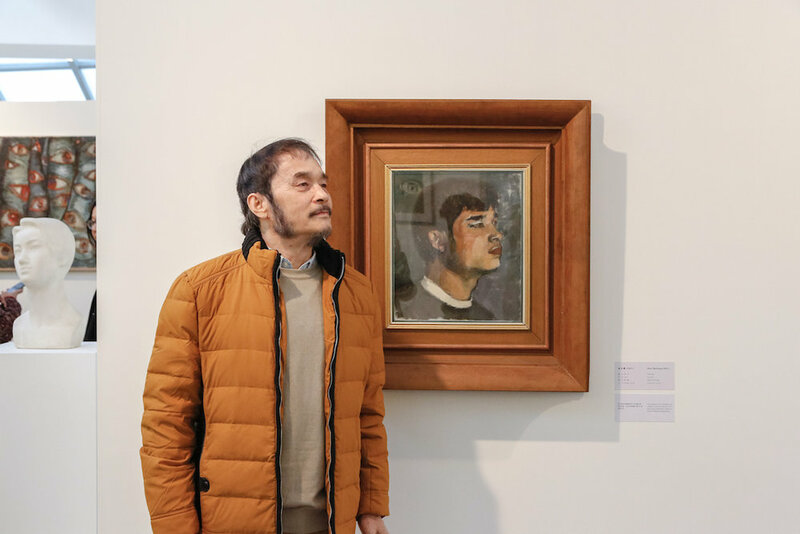 Pang is a pioneer of modern art in China, a famous painter and son of Pang Xunqin. Pang’s greatest achievement is the Oriental style that he developed in his oil painting practice. His oil painting integrates the features of Late Impressionism and Fauvism, with Western-style enthusiasm and the outbreak of force, as well as the special artistic conception typical to Oriental painting and poetry, hence successful creation of Eastern Expressionism. As an oil painter, Pang Jun studied classical and modern art, and skillfully combined Western oil painting language with oriental ink painting to form a unique artistic style, which is described “freehand oil painting” by critics. 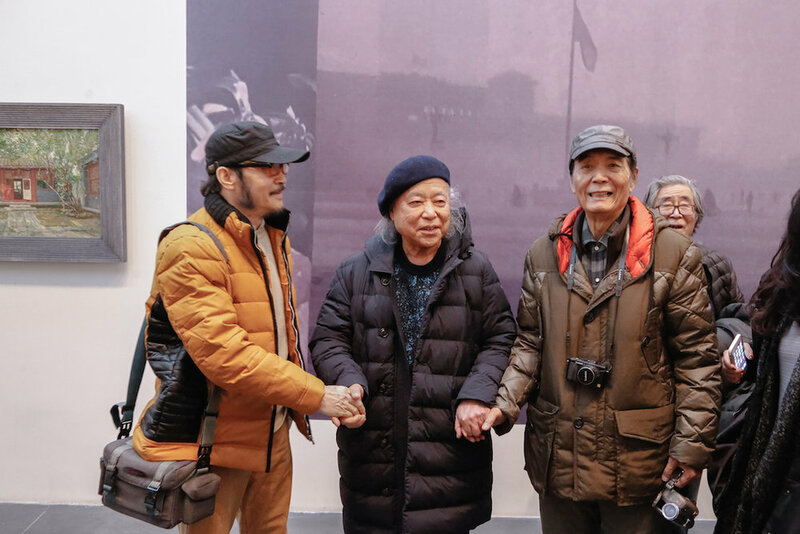 Yan Zhenduo and Pang Jun, two artists who initiated and participated in the "New Spring Art Exhibition" and founded the Beijing Oil Painting Society, will talk about the organization process of the exhibition and the origin and history of the Painting Society. Born in Jixian, Hebei (today Jixian, Tianjin), Yan Zhenduo is a famous oil painter. In 1963, he graduated from the Beijing Academy of Fine Arts, and later graduated from the Central Academy of Fine Arts in 1967 with a major of oil painting. He is the first-class oil painter at Beijing Fine Art Academy. At the end of the 1970s, he organized the Beijing Society of Oil Painting and held exhibitions such as "Spring Art Exhibition" and so on. Yan Bo is born in Beijing in December 1970, and graduated from the Tianjin Academy of Fine Arts in 1996, then graduated from the Central Academy of Fine Arts in 2002 after completing the Master course of Oil Painting Materials and Expressions. He is currently living and working in Beijing. This lecture focuses on Zhou Sicong’s artistic practice in the post-Cultural Revolution, in particular, her works in the period between the 1970s to the early 1980s, especially regarding her work Painting of Miners. It will discuss the growth, awakening and transformation of the artist in the context of the Cultural Revolution. It touches upon the many reasons that have triggered the art awakening of Zhou, so as to reveal Zhou Sicong’s artistic breakthrough in this process. Cao Qinghui, art historian, professor at School of Humanities, Central Academy of Fine Arts and deputy director of CAFA Library. He is committed to the education, research and curatorial practice in modern Chinese art history and the history of art education. Many exhibitions he’s curated have been awarded “Outstanding Exhibition” by the Ministry of Culture. The history of Chinese photographic practices in the 1980s has attracted growing interest in recent years in the field of art history as well as media studies. As a facet of the development of contemporary Chinese photography, this lecture explores the departure from Socialist Realism and construction of a new reality grounded in the personal and social, from the late 1970s and into the 1980s. Taking the April Photo Society as a case study, this lecture outlines how such amateur photographers sought to achieve this transformation from a humanistic perspective. An understanding of this process raises significant questions regarding the traffic between ostensibly official or institutional and informal or amateur spaces of cultural production in contemporary China. Chen Shuxia is a PhD candidate at the Australian Centre on China in the World, Australian National University, with a research focus on Chinese photography and its aesthetic transformation in the 1980s. Chen holds an MA in Art History from the University of Sydney; and an MA in Studio Art from Sydney College of the Arts, University of Sydney. Her articles and essays have been published in academic journals such as Trans Asia Photography Review. She is the grantee of the grantee of the Robert H. N. Ho Family Foundation Greater China Curatorial Residency Programme 2014. In reference to their respective research and exhibition practices, the two speakers will discuss the dialogue between art and politics from 1972 to 1982. The prerequisite for the dialogue is that the political environment has been gradually loosened and shown signs of possible changes in this decade, when the political framework of "the first 17 years" and "the Cultural Revolution" is steered for a different direction. This conversation will analyze the signals sent by the official to guide the formation of new literary and artistic values, and look at how art could bid farewell to "extreme left" politics in the process of receiving signals. 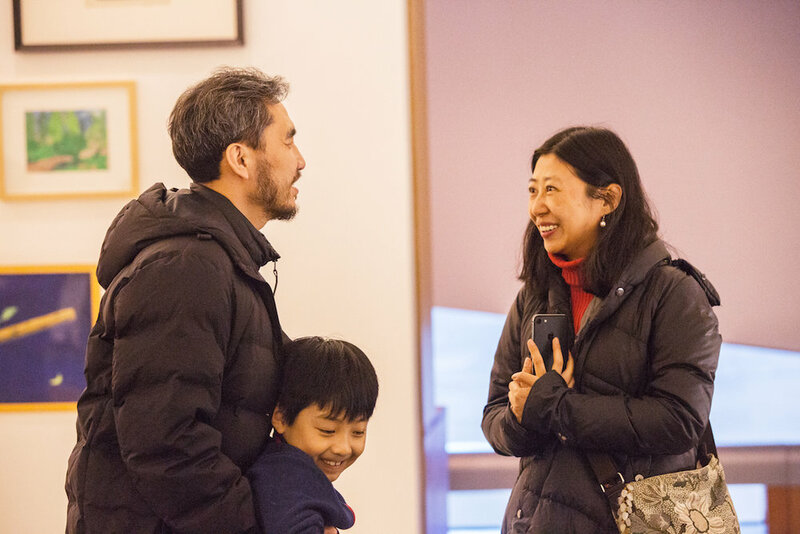 Referring to the official discussions on the direction of art and literature, the talk will focus on the artistic creation based on the “theme of Zhang Zhixin”, “With you in charge, I’m at ease” and other cases. Su Wei is an independent curator and writer. In recent years, his research, writing and curating focus on the solidification and fracture of the legitimacy of contemporary art, and try to examine the historical relevance of art creation by revisiting some cases in China’s modern times. In his recent exhibition, “Permanent Abstraction: Epiphanies of a Modern Form in Escaped Totalities”, he sketches out some of the complicated connections between the historical and contemporary art creations and the authoritative cultural and ideological discourses. Through such metaphors as “ghost”, “anonymity” and “repetition”, he unfolds the discussion of “abstraction” as a position in historical narrative rather than an aesthetic category. Please send your information to info@ioam.org.cn before January 6, 2017, including your name, number of participants, date of the lecture (such as January 7), and contact details. We will confirm your registration information via email or phone call, please remember to check your email! due to the limit of space, please make sure to book in advance if interested, thank you for your cooperation!